Congrats on making your new hire! The process of hiring new staff can be grueling. It takes a lot of time, energy, and intuition to find the perfect fit for your company. So it’s understandable to feel as though everything will be easy once new employees are hired. And why wouldn’t you? 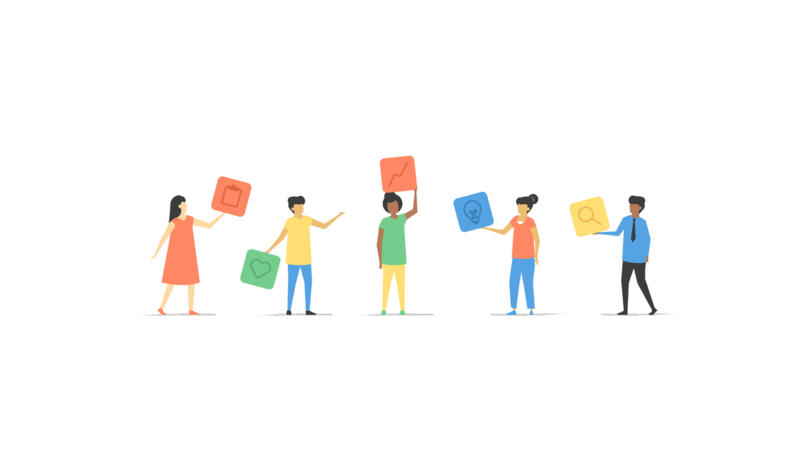 Your team is less squeezed, you’ve delegated a key part of your work to someone who really knows what they’re doing, and now you have time to manage your whole team better. But hiring someone is often just the beginning of a new process: onboarding. 1. 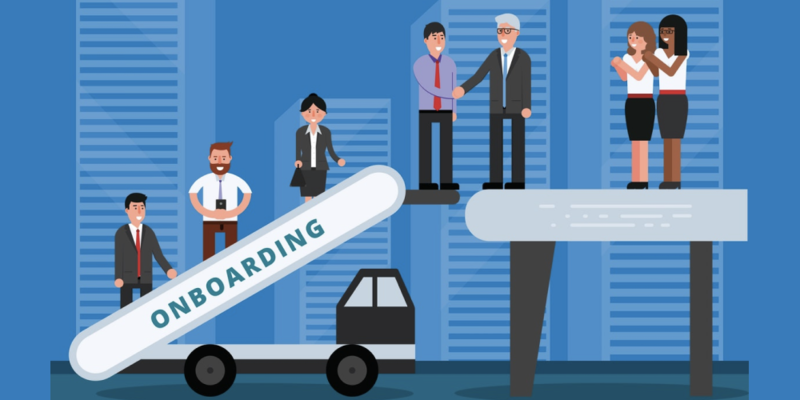 What is employee onboarding? 2. Why is onboarding important to the company? Imagine it’s a new employee’s first day at work. Apart from their offer, and the date and time they should show up, they haven’t really received any information. They arrive, and the front desk employee must call the HR manager, who comes and shows the new hire to a random, empty desk, and hands them a pile of paperwork to look over and sign. Throughout the day, the new employee has an awkward time getting acclimated — they must ask for the wifi password and where the restroom is, and they meet team members at random. By the end of the week, they have a decent handle on things, but have only interacted with their manager briefly, and are still trying to connect the people emailing them with the actual faces they see around the office. They learn the company’s way of doing things— such as asking for feedback, planning meetings, and discussing work— through observation and mistakes rather than from their manager directly. As time goes on, they feel more and more like they don’t really know what their superiors’ expectations are, or how to succeed at this company, which leads to them feeling like any success at all is unlikely. After a few months, they’re already looking for a new job. This may seem like an extreme case, but some version of this happens with relative frequency— and it can be avoided with proper onboarding. The Balance describes onboarding as, ”the process of integrating a new employee into the company and giving them the tools, information, and introductions they will need to succeed in their new job.” Onboarding is not the same thing as orientation, despite those terms sometimes being used interchangeably. Michael Falcon, founder of Experience Academy, tells Forbes, "Employee onboarding is the design of what your employees feel, see and hear after they have been hired. Often, companies confuse onboarding with training. While training does have a role within the onboarding it doesn’t represent the entire scope of the process." This process can last weeks or even months; according to HBR, it can even take up to a year. It takes time to truly learn and grow into a role, and part of your management should be working with them to develop goals they can measure so that after the first year, they can see the progress they’ve made. Why is onboarding important to a company? 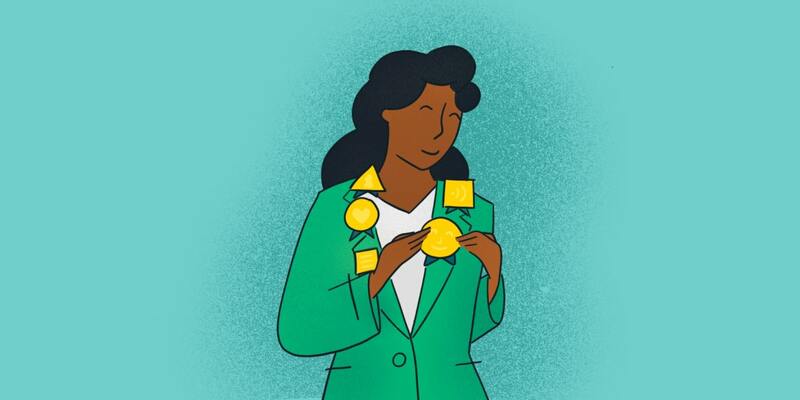 HBR notes that companies who invest in their employees by setting up thorough onboarding programs find that their economic performance is higher than those that don’t— so it truly pays to do so. Plus, successful onboarding directly correlates to employee retention: Forbes shares that a 2007 study by the Wynhurst Group found that employees who participated in a structured onboarding program were 58% more likely to stay with their company more than three years. 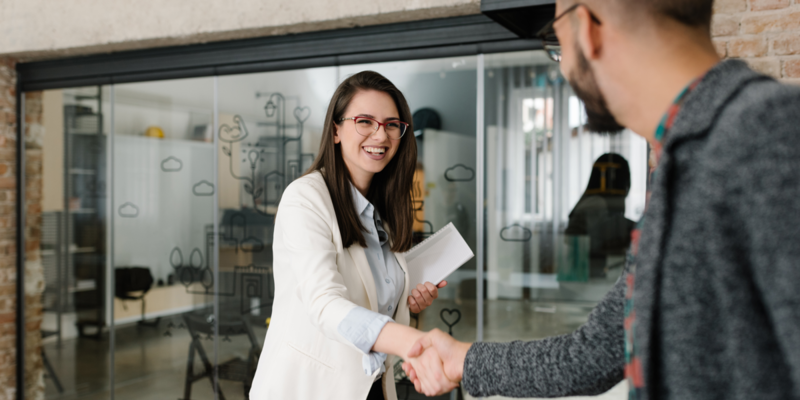 So onboarding is a great way to know that your hiring efforts will win out -- especially both considering how costly employee turnover is, and how much more time you’ll have to invest, again, in finding a replacement. 1. Do make onboarding reflect the outward impression of your company. Erin Perry, director of client solutions at Pinstripe, a recruiting company based in Brookfield, Wisconsin, tells Inc. that an onboarding program really should begin during the recruitment and hiring process. A company’s brand is what attracts new employees, which is why it’s so important that the company’s culture reflects that brand. According to business coach Richard Jordan, the company’s website is an opportunity to share a lot of information about the workplace and culture so that every candidate goes into their interview with a solid understanding of the company, and what working there might be like. An employee’s first day should be in line with that impression. “If you're a high tech organization that has a cool brand and that uses social media and talks about innovation when you're advertising to attract new associates, that's great. But if on a new hire's first day you hand them 15 different forms to fill out, your employment brand message has just died," says Perry. 2. Don’t treat every new employee the same. 3. Do set your new employee up for success— literally. The Balance strongly suggests preparing a new employee’s space before their first day: clean up their desk, make sure their phone is connected, set their computer up, and give them the wifi password. Make sure you communicate any necessary first-day information— what they should wear, anything they should know about parking and/or building security, who to ask for on that first day, what tools and resources will already be at the office— ahead of time. 4. Don’t assume you can just leave them to it. Perry notes, “I'm a big believer of surveying at every step of the process.” Her preferred method includes checking in at the end of the first week, then every month for the employee's first three months, making sure to craft different questions for each check-in. Scheduling this (alongside regular 1:1s) in advance will remind the employee that their onboarding process is ongoing, and you know they are still adjusting. It’s especially good if you have an employee performance management platform that checks in with them and you automatically at dates you can set beforehand. At the start, they should be more focused on the employee’s first day, how their experience in the first week met with their expectations, and how they are acclimating to the relevant technologies or systems. The questions should then shift to whether the employee feels they have the tools they need to do their job well, followed by what short- and long-term goals they might be forming now that they’ve got a foundation at the organization. 5. Do give new employees access to company-related resources as soon as you offer them a job. While speaking to First Round Review, Percolate Co-founder Noah Brier details the initial part of his company’s onboarding process: “Within 48 hours of receiving the signed offer letter, each hire receives a welcome email, establishing a point person to answer any questions and gather basic information via a ‘Welcome to Percolate’ survey. This assists us in preparing for the employee’s arrival.” Each new employee also receives a welcome package including a tote bag, coffee mug, and note welcoming them to the team. As a result, new employees enter their first day with a point person in place, swag that helps them feel like a member of the team, and a small but solid foundation from which to grow. Onboarding is a process that’s essential not just for employee retention, but for the overall health of your business. Acclimating new staff shows them what your company is truly about, and keeps them invested in the company’s future. Dedicate more time and energy to creating a more thorough and welcoming onboarding process, and you’re sure to see the results. Hiring someone is often just the beginning of a new process: onboarding. While each person has a functional role within a team, they also have a less obvious psychological role. Becoming a manager for the first time is a big step in your career. But your first day as a manager isn't about coming in hot and being the greatest. People management hinges on your ability to connect with and understand others, but high emotional intelligence isn't everything.